Activity has picked up at the volcano again. An ash plume was reported this morning by VAAC Tokyo to 17,000 ft (5 km) altitude extending north. Webcam images show a significant steam plume which possibly contains ash. 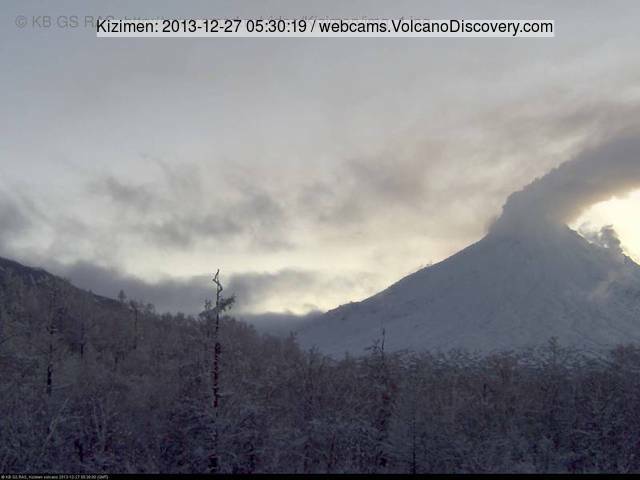 This suggests that the lava dome might be entering a new phase of growth. KVERT still maintains the volcano at status "Green" (normal).